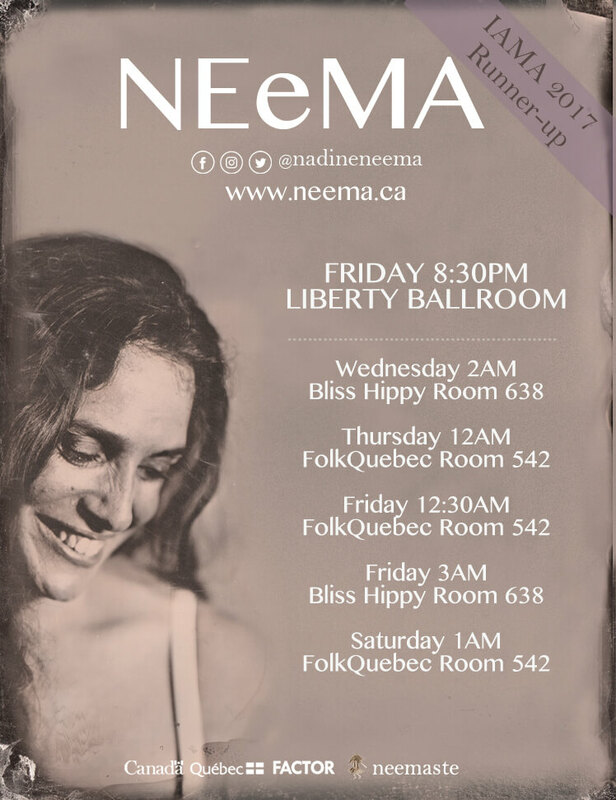 Neema will be playing at the Folk Alliance International Conference in Kansas City this week. The official showcase is on Friday in the Liberty Ballroom. She will also play private showcases every day from Wednesday to Saturday. Wednesday she’ll be playing solo, Thursday & Saturday as a duo with Catherine Ledoux, and friday a trio with Fred Bouchard.